Junior Michael Griffith didn’t realize he was 90 minutes away from losing his life. Two minutes later, his teammate from the men’s swimming and diving team unknowingly saved it. 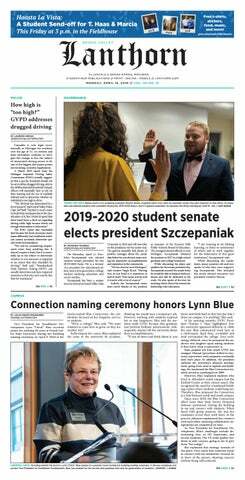 Griffith, a member of the Grand Valley State University men’s swim and dive team, was riding his bike Sept. 18 after eating dinner on campus, when he was suddenly struck by a vehicle traveling approximately 40 mph. Gunderson, a junior, was also on his way home and spotted his fallen classmate screaming in pain. Griffith had no idea what the extent of his injuries were at the time, and planned on heading back to his apartment. “He thought he was going to be fine,” Gunderson said. After the ambulance arrived, Griffith was placed on life support after he lost consciousness. He had an epidural hematoma, and as a result, his brain was starting to shut down. He also had a cracked skull and a severe concussion, a broken shoulder, a bruised lung and cracked ribs among other injuries. He was rushed to a Grand Rapids hospital where he would spend the next two weeks in the intensive care unit. His doctors and nurses also explained that it would take him approximately nine months to return to his team. The Brighton native didn’t want to wait that long. He somehow managed to return to his team after only a month, and started competing again at the start of the winter semester. In the month of January, GVSU defeated No. 8 University of Indianapolis, No. 11 Wayne State University and No. 13 Nova Southeastern University, earning a No. 12 ranking in the NCAA Division II rankings. In the 2013 GLIAC Championships, Griffith finished in the top three in all seven of his events. He touched first in the 100 fly with an NCAA DII “B” cut time of 48.75 seconds, and swam a leg on three first-place relays. His 200 medley relay team (juniors Erik Aakesson, Aaron Marken and freshman Gianni Ferrero) placed first with an “A” cut time of 1:28.31, a new GLIAC Championship and GVSU varsity record. The biology major also impressed at the 2013 NCAA Division II National Championships in Birmingham, Ala. The 200 freestyle relay team of Griffith, Ferrero, Aakesson and sophomore Milan Medo were able to eclipse a varsity record with a seventh-place time of 1:20.82, earning All-America honors in the process. He also garnered All-America honors in the 100 fly with a fourth-place time of 47.85 seconds, which was .14 seconds short of the GVSU varsity record. All of this success came less than six months after his near death experience.